One of the great debates of this age is safety razor vs cartridge razor. It’s a strange debate in the sense that it’s very one-sided. In the safety razor vs cartridge razor debate, it is always the safety razor users that proclaim in the manliest fashion that the safety razor is hands-down better. On the other hand, most cartridge razor users really don’t care – they simply prefer cartridge razors and many of them have never tried nor ever thought of shaving with a safety razor. 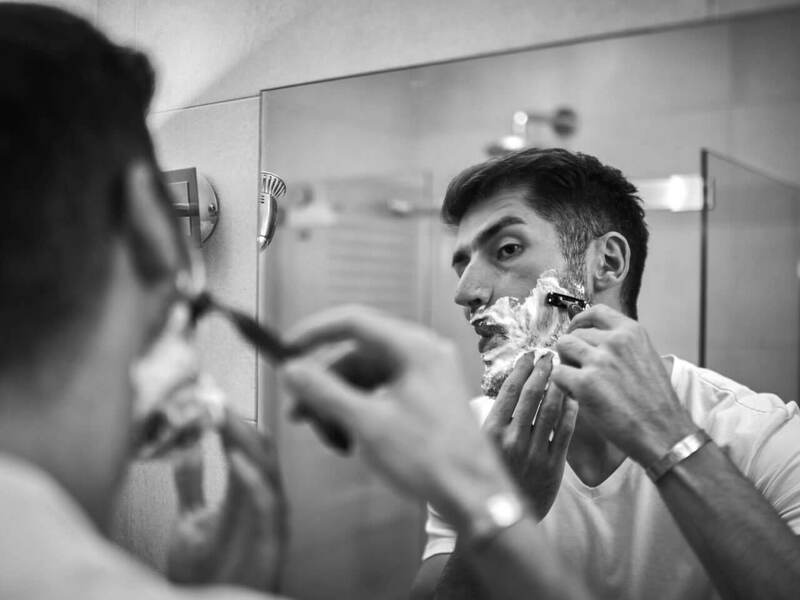 Anyway, if you’re reading this article, then you must be shaving or planning to shave with a safety razor. A safety razor can be used with any safety razor blades and a safety razor blade can be fitted on any safety razors. There’s nothing to hide here. It’s all out in the open. The same can’t be said about the secretive and proprietary realm of cartridge razors and shaving cartridges. Once you have perfected the technique, almost any safety razor and blade combination would shave better than a cartridge razor. There are still notable differences among different brands and models of safety razor blades. Like knives, the quality of the steel can make all the difference. It can affect sharpness, consistency, closeness of the shave, and how easy it is to cut yourself shaving. The following are our favorite safety razor blades. Note that this can come down to personal preference, skin type, facial hair type, how often you shave, etc. A good way to proceed is to try out a whole bunch of different blades. For example, this Amazon safety razor blade sampler pack includes 70 blades of 12 different brands and models, two of which made our select list of the best safety razor blades. The Soviet Union was a world superpower because there were a number of things that they did very well. One of them was Astra blades. Astra has been the safety razor blade of choice for many European barbers long before Gillette bought the brand in 1996. Yes, even the king of cartridge razors knew that safety razors shaved better. Actually, the founder of Gillette, King C. Gillette (his real name! ), was the inventor of then the most user-friendly safety razor using thin stamped-steel blades that are still the model today. The original name of the company was Gillette Safety Razor Company, though they soon discovered that cartridge razors were way more profitable. Gillette is now owned by Procter & Gamble and Astra blades are still being made in Russia. Our favorite Astra blade is the Astra Superior Platinum. The cutting edges are coated with a thin layer of platinum (by way of chemical vapor deposition) for comfort and close shave without increasing the risk of cutting. You can shave more aggressively with Astra blades, most of the time, without irritation or cutting yourself. However, the Astra Superior Platinum is not as sharp as other blades known for their sharpness. These blades are great for beginners and those who demand comfort over all else. They are also a great counterbalance to safety razors designed for aggressive shaving. Personna blades have been around since the 19th century. The brand was sold to American Safety Razor Company in 1953 and soon Personna blades were being made in Israel in addition to the United States. The brand is now owned by Edgewell Personal Care which also owns Schick. Can you see the trend? Major cartridge razor companies continue to think safety razors are the bomb! 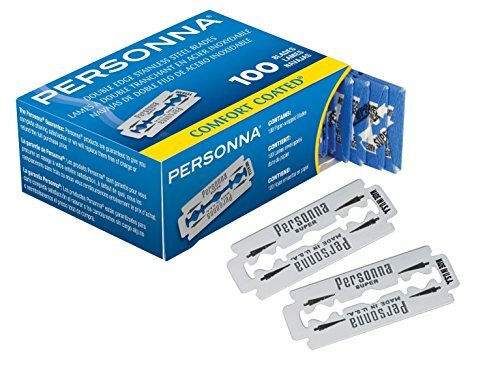 Nowadays you can also find cartridge razors and disposable razors under the Personna brand. Personna blades are still being made in Israel and the US. These blades strike the perfect balance between sharpness, comfort, and close, aggressive shaving. If you need an all-around excellent shave, you can trust the Personna brand. The material is chrome steel – a hard steel that contains chromium. Did you know that the chains used to contain King Kong were made with this steel? You can expect perfect hardness and consistency. Feather Safety Razor Co., Ltd is a Japanese manufacturer of fine blades for medical, industrial, and barber & beauty products. The company is most well-known for its safety razor blades. Feather blades are legendary for their sharpness. 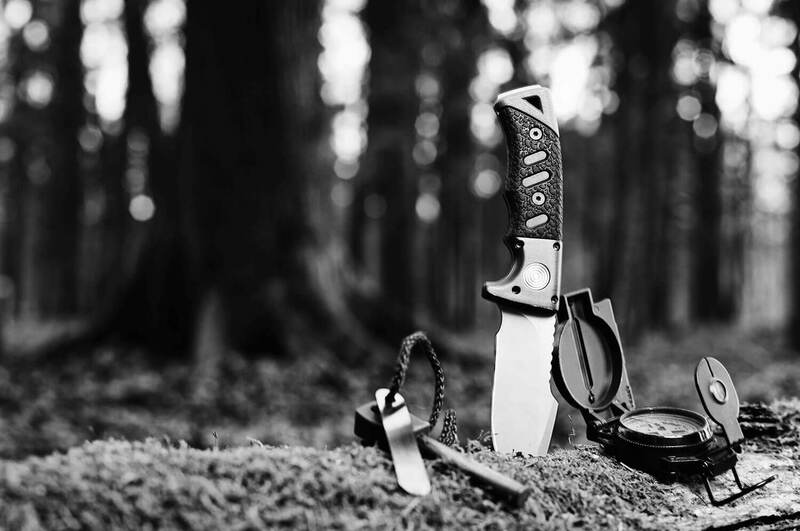 The brand has never changed ownership and the blades remain made in Japan. 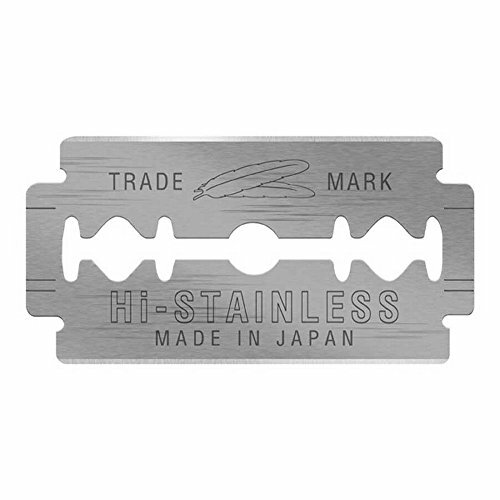 We are huge fans of the Feather New Hi-Stainless safety razor blades. While more expensive than others, they are really quite affordable at $0.26 per blade (as of this writing) and way cheaper than overpriced shaving cartridges. Feather New Hi-Stainless is made of the highest quality Japanese stainless steel. These blades are super sharp yet reasonably comfortable thanks to their platinum coating. If you overslept for whatever reason and have no time to waste lathering your face, you can totally trust this blade to give you a quick and hasty dry-shave without making a mess. Of course, we’re not recommending dry-shaving as lathering our face is a luxury and a very manly thing to perform and enjoy. With these Feather blades, sharpness doesn’t mean aggressiveness. It’s the very thing that makes shaving smooth, fast, easy, and enjoyable. 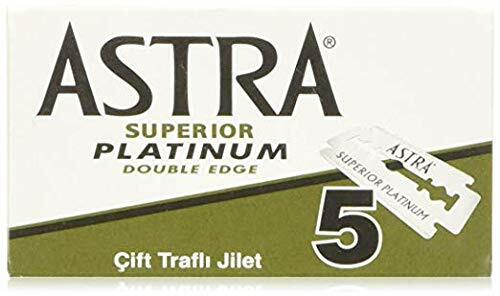 We recommend Astra Superior Platinum safety razor blades for comfort and the best deal in high-quality blades. We also like the Personna Super Blue blades for their superlative, well-rounded performance. As for the best of the best safety razor blade, this title goes to the Feather New Hi-Stainless. It is the sharpest and smoothest blade for close, comfortable shave in every movement. As of this writing, 93% of reviewers rated the Feather New Hi-Stainless 4- or 5-star, tops among all big-name safety razor blades.